Loads of flavor for a quick and simple side dish. Not a fan of the ginger, however, so next time I'll leave it out - along with the sugar. BAM!! 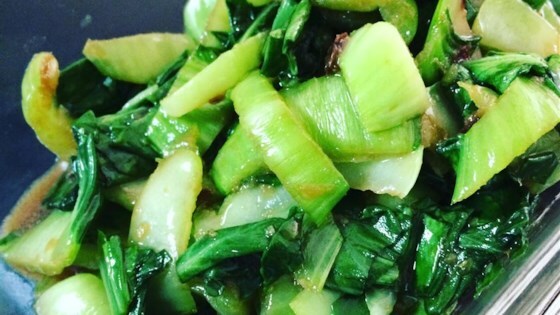 The flavours and crunchiness of the bok choy are amazing combination. I can't stop eating it. Even better the next day! !